Studies have shown that sleep is essential for survival. How do you ensure that you get a good night’s sleep? Well by keeping warm! 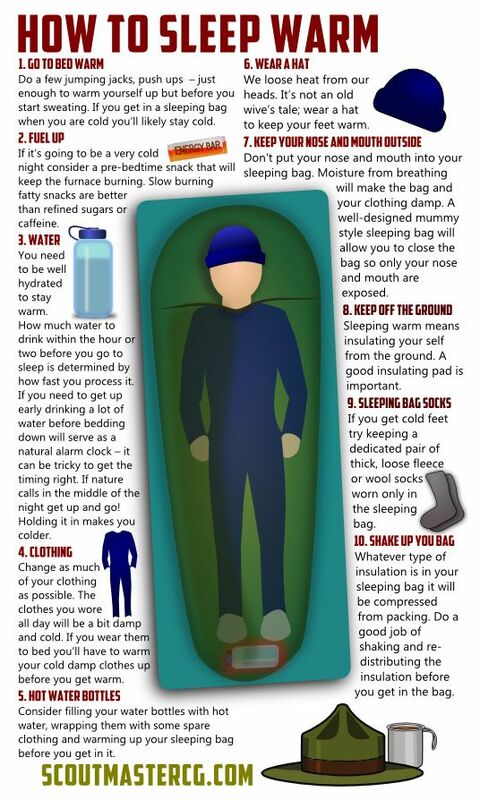 Here’s an info graphic from scoutmastercg on how to sleep warm.